As a people, Jews have a long and storied past. Probelm is, we can often become obsessed with it. Our laws and texts, so many of the rabbis and scholars we quote and study week after week are not just from our past but from humanity’s distant past. In each generation, we find ourselves interpreting and reinterpreting laws and ancient wisdom in an effort to make it resonate once again for our time. And yet, all the while the future of the Jewish people continues to unfold day after day with many Jews oblivious to changes, large and small. Is there validity the dire projections of Judaism’s imminent demise as predicted by the 2013 Pew Report? What are some of the successful and emerging models of Jewish engagement? How is the role of the synagogue changing? Please note, we will end at 5:15, to allow folks to get to CBI for the important Town Hall Meeting at 5:30. CBI members will be holding a Community Forum on Sunday, April 28, from 5:30pm to 7:30pm to address questions and engage in discussion regarding the proposal to reconfigure Rabbi’s duties. 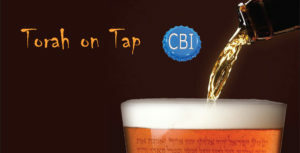 All CBI members are warmly encouraged to attend. Out of the texts of the Torah, the Rabbis created teachings bringing deeper meanings to the wisdom of the Jewish people known as Midrash. Each week we will explore some of these teachings based on the weekly Torah portion. We will gain not only an understanding of what the Rabbis were teaching, but how and why they were able to offer these teachings. While there are many compilations of Midrash from different periods in Jewish history, we will focus our studies on Midrash Rabbah. Welcome Shabbat with your CBI family at the home of Hannah Limov & Ben Kohan in West Asheville. Potluck dinner will be meat/pareve (no dairy!). For details and to RSVP, click here. Door prize: 4 tickets to an Asheville Symphony performance. AmiciMusic, Asheville’s own award-winning chamber music ensemble, returns to Congregation Beth Israel for another exciting “JEWISH JAZZ” concert with all new music. Steve Loew, clarinet, and Daniel Weiser, piano will perform this incredible program of clarinet and piano music that highlight some important Klezmer influences on the jazz instrumentalists and composers of this period, many of whom were Jewish. Dr. Weiser will tell the fascinating story of the great fusion of musical styles from ragtime to blues to Klezmer that helped produce the new Jazz style in New York City in the first decades of the 20th century as the wave of Jewish immigrants from Eastern Europe met up with the Great Migration of African-Americans from the South. This program features some more wonderful Klezmer-inspired pieces by Lev Kogan and Michele Magnani, as well as works by Benny Goodman, George Gershwin, Leonard Bernstein, and more. Loew and Weiser have performed in over 20 countries around the world and put on a show that is second to none. Tickets $25 per person. Refreshments served. Call Congregation Beth Israel 828-252-8660 for reservations. CBI’s Milk & Honey Hour brings together young Jewish families to schmooze and acclimate their little ones (newborn to 4 yrs) to their spiritual home away from home. Once a month on the third Saturday of the month, we meet at CBI for an hour-long Jewish experience designed to expose children to the sights, sounds and smells of Judaism. The first 30 minutes is for socializing and playing, enjoying read-to-me time and allowing the little ones to explore the synagogue. Feel free to wander where your child leads, in and out of the sanctuary, on to the bima, nothing is off limits. The second half features singing with Penny White, Jewish Asheville’s pied piper. She’ll teach Shabbat songs, nigguns (wordless melodies), Hebrew lullabies and Jewish holiday tunes you can continue singing to your kids at home. While the youngest absorb the rhythms and melodies, the older toddlers are encouraged to play along on drums and tambourines. All the while, the kids are exposed to the in the background sounds and melodies of the Shabbat service coming from the sanctuary. The entire hour-long experience is designed to imprint positive Jewish memories that will last a lifetime. This program is designed for any Jewish family with kids under the age of four. You need not be a member of CBI to participate. 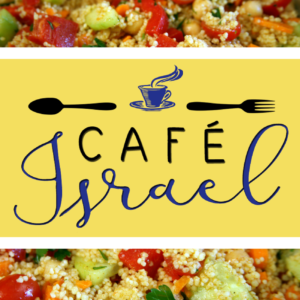 On Sunday May 19th, from 11:00am – 2:00pm, Congregation Beth Israel will once again host a birthday party for the State of Israel (its 71st) with our annual Café Israel event. This year’s event will once again feature delicious Israeli food, local beer, Israeli wine, Israeli music, Israeli folk dancing, a kid’s zone with a bounce house, crafts and Mr. Twister, our intimate Bedouin Tent with Turkish coffee and mint tea, as well as Henna tattoos, several local craft artists, a host of incredible raffle baskets and more. Each year Café Israel provides our shul an opportunity to reach out to our friends in both the Jewish community and greater Asheville community allowing us the chance to celebrate all that we love about Israel. • Please plan on attending this year’s event with your friends and family, and consider spending a few of your shekels on food and our raffle baskets. All proceeds from this fundraiser will go to support CBI’s youth programming. • Please share the news of this event with your social networks in hopes of attracting even more people to the event. • Consider volunteering for one of our shifts for set up, food serving, clean-up and other jobs. Danielle Tocaben is coordinating volunteers so please reach out to her at vicepresident@bethisraelnc.org. • If you have not yet signed up to be sponsor, please consider sponsoring the event for $50. Your name will be recognized in eBlasts as well as in the event program. Sponsorship deadline for inclusion in the program is May 12th. We look forward to a wonderful event and hope that you and yours will come out and have a great time. Just as healthy foods nourish us through the blood stream, so Jewish meditation nourishes our “soul stream.” Meditation can be transformative, taking us from the intellectual awareness of ourselves to a deeper spiritual practice that links us to Judaism in the most profound way. Each mitzvah, holy day and cycle of life has its own rhythm, nuance, taste and character. Jewish meditation is a practice of infuing their essence into our daily spiritual lives. Ready to give it a try? Join us (usually) on the first and third Sunday of each month from 1pm – 3pm. No previous meditation experience necessary. This opportunity is free and open to all. While CBI’s building is undergoing renovations, we will be meeting downstairs at Congregation Beth Ha Tephila, 43 North Libery Street in North Asheville. An art show by members of the Jewish community at Congregation Beth Israel reflecting the concept of Sinai and Shavuot. Ready to hang works of visual and word art will be dropped off on May 20th (11am – 2pm) to be hung in the social hall. Opening reception and Open-Mic night will be held on Wednesday May 29th, 6-9pm. Show is open to all ages and all members of the Jewish community. The show will be used to raise awareness and funding for CBI’s Youth Education Program. Try to keep work under 30 inches. Please let me know if you have any questions. Roberta Wall is going to introduce and screen the movie “Combatants for Peace” in the CBI social hall at 6:30 PM on Wednesday May 22nd. With a 30 minute questions session afterwords, we should conclude at about 8:30. It’s Israel as you’ve never seen it before—forty-six years of life, conflict, people, and society from ground level as it happened, with context and depth, through the eyes of an award-winning American journalist who’s also an Israeli, husband, father, grandfather, Orthodox Jew, and soldier—proving that Israel is stronger than ever and needs to act like it. The book has four sections: conflict, society, people, and media. You’ll walk alongside the author as he interacts with Israel on many levels, encountering heroes and demagogues, leaders and followers, Jews and Arabs–and you’ll follow him to the conclusion that Israel cannot fix the Palestinians, but it can fix itself–and in its upcoming election, Israel’s emphasis should be on domestic problems and not exaggerated security threats. Join us on the last Sunday of the month at Archetype Brewing (dowtown north) for a refreshing and often provocative discussion over a pint (or two) of great brew. Each month, we take on a new topic – often ripped from the headlines of today’s news. We spend the first 45 minutes wrapping our arms around it, defining it, dissecting and analyzing it from various viewpoints. Then we spend the rest of the time discussing it from Judaism’s point of view. Join us for Dinner and a Movie , this time the 2nd in the trio of documentaries on Russian Jews will be shown after a potluck dinner in our social hall, Sunday May 26th. Dinner at 6 PM and movie starts at 7:00. Free and open to the public. Donations to Adult Ed gratefully accepted.